ISH FRANKFURT 2019 Frankfurt, here we come! The occasion? ISH Trade Fair: the most important showcase for sanitary installations, innovative constructive solutions, renewable energies. AQUATHERM MOSCOW 2019 Добрый день! Do not worry, we have not moved: we are only revising our Russian in view of February! Also this year we will participate in Aquatherm Moscow 2019, the international trade fair dedicated to domestic and industrial heating, which will take place from the12th until the15th of February at the Crocus Expo in Moscow. For the ninth year in a row Officine Rigamonti welcomes you to Dubai from the 26th until the 29th of November to visit The Big 5 –International Building & Construction Show, the main trade-show in the Middle East for the Building & Construction industry, to be held at the Dubai World Trade Center. INSTALL FEST 2018 Kiev, Ukraine, our next destination. The occasion? Install Fest 2018, the second edition of the international festival dedicated to installers and designers which gives us the possibility to bring the excellence of the Made in Italy to a highly qualified international public. MCE 2018 Our world tour across the main events of the sector finally brings us back to Italy. The occasion? The 41st edition of MCE- Mostra Convegno Expocomfort, the major trade show in Milan that gathers the latest technologies for living comfort. ISH India 2018 After Moscow, our World Tour takes us to Bangalore, in the South of India, where Officine Rigamonti products will be presented at ISH India 2018, the Country’s leading exhibition showcasing the best solutions for plumbing and HVAC. Officine Rigamonti will participate for the 8th consecutive time at the Big 5 – The International Building & Construction Show of Dubai, the largest and most prestigious construction exhibition of the Middle East, which will be held at Dubai World Trade Centre from the 26th until the 29th of November. Magnetic force, cyclonic action: these are the unique features of VORTEX, the new dirt separator developed by Officine Rigamonti. Officine Rigamonti will be expecting you at ISH 2017: the Frankfurt exhibition. Officine Rigamonti flies to Moscow to participate in Aquatherm 2017. An innovative product that makes your work as easy as child’s play. The new pressure reducing valve with diaphragm Twist with incorporated filter has finally arrived! Big 5 Dubai A regular event since 2010 and a unique opportunity to meet the international markets: Officine Rigamonti will participate to the Big 5 in Dubai, the largest and most influential construction event in the Middle East. ISH CHINA & CIHE 2016 // From May 30 to June 1, Officine Rigamonti will participate at ISH China & CIHE in Beijing (Hall W2 – Booth 22A). Aquatherm Moscow Officine Rigamonti will attend the Aqua-Therm Moscow (2 to 5 February 2016, Stand B221 - Hall 14), the most important event in the Thermohydraulic sector in Russia. The new AUREA ball valves The technical data sheets of our new performant full bore AUREA ball valves are available online. Kitemark Officine Rigamonti gets a new and important international recognition achieving the KITEMARK fire fighting certificate for its pressure reducing valves. OR National Sales Accounts Meeting. On 15 and 16 January has taken place the Officine Rigamonti National Sales Accounts Meeting, a two days meeting dedicated to the discussion of the company’s commercial objectives and strategies, in the beautiful setting of Ticino Park, at the Agriturismo Cascina Caremma, chosen as the location for the event. 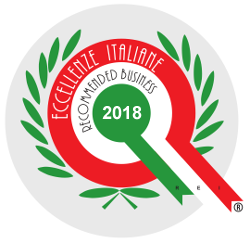 OFFICINE RIGAMONTI REPRESENTS ITALIAN EXCELLENCE AND SEALS ITS COMMITMENT WITH THE TRICOLOUR FLAG With Expo2015 in sight, Officine Rigamonti renews its commitment to promoting quality and focusing on customer service, by distinguishing itself with the Eccellenze Italiane mark. Over 60 years in the water and heating industry After more than 60 years after its foundation, Officine Rigamonti can boast positive results and look forward with confidence to the future.